I chose Question Mark. 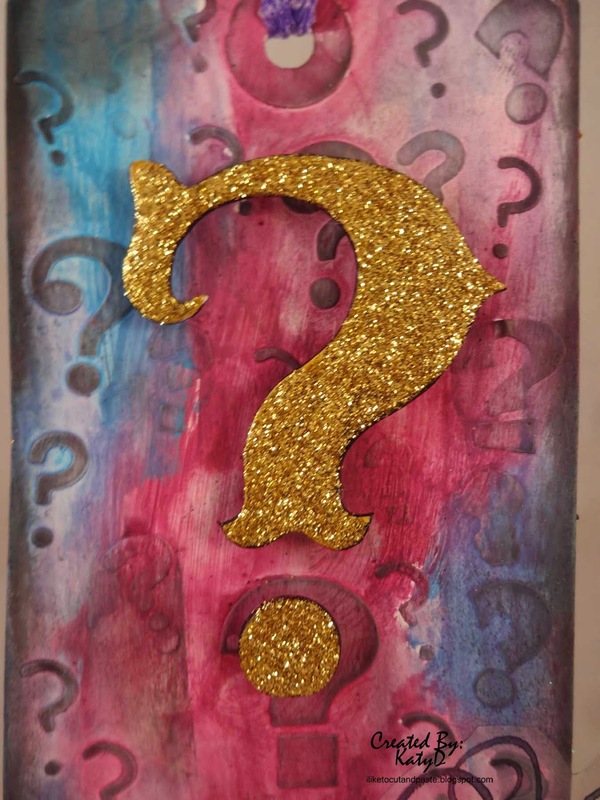 This is my ode to the Question Mark. :) And if Dr. Evil from Austin Powers enters your head-well that makes two of us. LOL! Something I hadn't thought about until midway through is that I needed to use a stamp. Normally, I incorporate stamps and don't have to think about it...but this time was different. So I found this butterfly. I think it's autumn leaves but this butterfly has been around forever. I stamped it on acetate. I creased it to give it dimension and adhered him with folded over red-line tape. Here is a close-up. I used Distress Paints seedless preserves, picked raspberry, and broken china and used a water brush to try to make them blend. After that dried (and I let it dry) I used black soot distress ink around the edges. I also hit the raised ?s with it. The golden ? 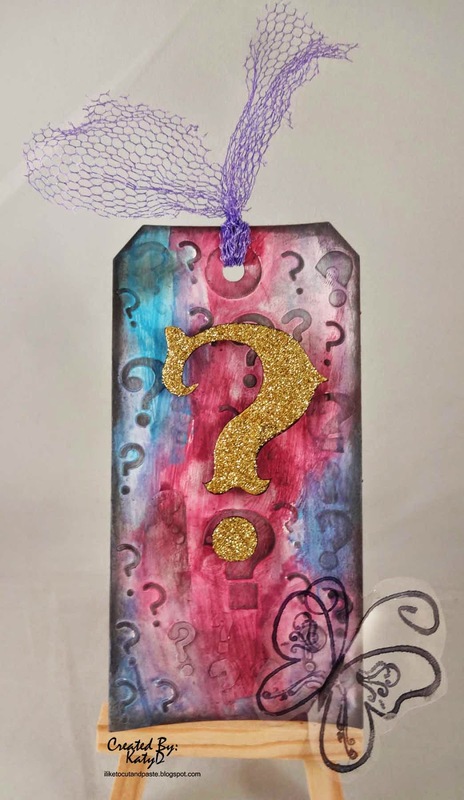 is from a set of Tim Holtz punctuation grunge board. I had to use gold glitter! I used pop dots to adhere it to the tag. In my ribbon scraps I found this purple toule. Perfect! 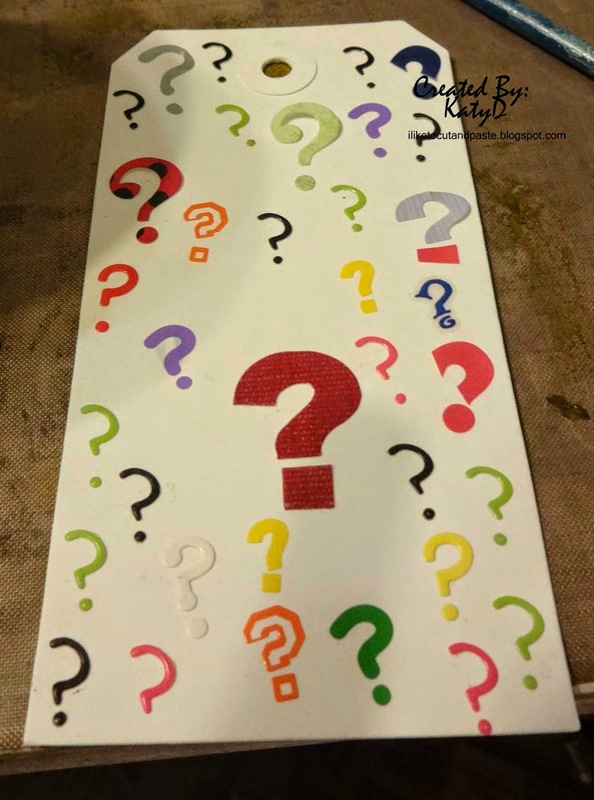 very cool tag.. love what you did with all those question marks.. This is awesome! LOVING all the ? marks!!!! Great tag with some unique thinking. 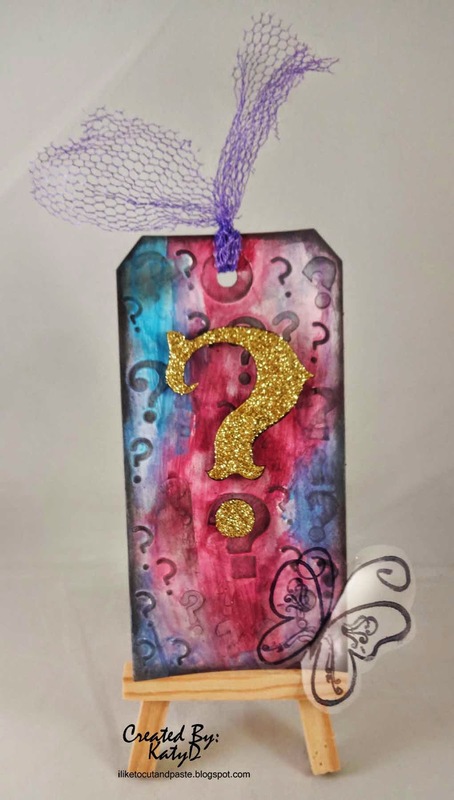 Every time I make a tag I totally forget about the stamping. Luckily it just happens anyway! LOL. 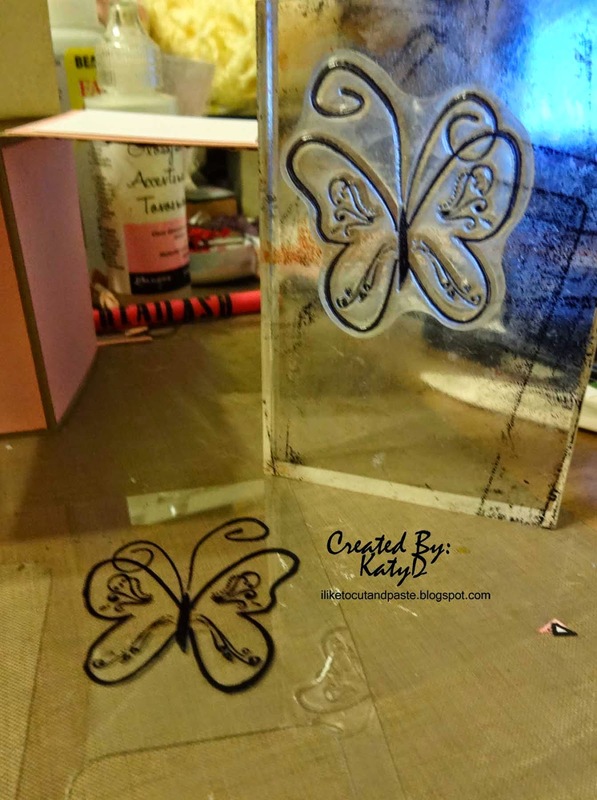 That's a wonderful butterfly stamp. That's a fantastic idea, a wonderful tag. Thanks for dreaming with us at Dragons Dream Tag It On.